The Nevada Solar Owners Association (a non-profit organization) is now forming to bring together all owners of solar power generation systems. Nevada has been a rising star over the last few years, clearly poised to be number one in the country of the solar energy market for distributed power generation systems – providing clean renewable energy from the abundance of year round sun in our state. There are national organizations who represent solar energy nationwide and have attempted to help represent solar interests in Nevada, but, we need local state support in order to be more successful for both our environment and our solar power investments. Join thousands of Nevadans so that we can become a voice clearly heard in Carson City as well as the PUC, to restore and preserve our investments and rights to free renewable energy! In a recent disappointing upset, the Public Utilities Commission of Nevada (PUCN), voted 3-0 to effectively reverse what is known as Net Metering (or NEM-1), which is a 1 for 1 exchange of credits for excess energy produced and sent back into the power grid. While the impression was the creation of a new net metering program (NEM-2) after the original limit was reached, it was a shocking surprise to find out that the entire program would be REVERSED and REVISED into what basically appears to kill the value of the net metering program altogether. We are currently seeking support from private individual and small business owners of solar generation systems who utilize Net Metering as a critical part of your investment in solar energy. If you have solar panels installed by an alternative utility such as SolarCity, Sunrun, etc – those organizations (the companies) are represented by other national advocates, however, your voice added to ours would certainly help the overall cause to regain and retain the value for all of our solar power systems. The Nevada Solar Owners Association has been formed, in addition but in cooperation with other industry advocates, to represent individual citizens of Nevada. Our primary objective is to gather and organize Nevada residents who own or lease rooftop solar generation systems. We also encourage any other Nevada resident who has been thinking about, interested or may be or have been in the process of acquiring solar power generation for your home or business to join us. Unlike all other current national solar advocate groups, the NVSOA will educate and represent the individual Nevada residents, versus solar industry companies. Albeit, if you are an owner or employee of any of the many companies in Nevada, we’re happy to have you join with us as well! We are a volunteer non-profit (501c3) organization. This means that there are no salaries, no financial benefits to individuals or organizations. Founding members and organizations contributing financially to NVSOA, at most, will be recognized on this website as acknowledgement of their supporting our cause and helping bring the citizens of this great state together to obtain factual information about the benefits of solar energy, net-metering and other renewable energy topics with respect to our community and environment. Please note, that the NVSOA is not a political organization. Our current interest group and board currently comprises of individuals who have a personal interest in solar investments they have made or have interest in making in solar energy within our state in the future. Our secondary objective for this organization is to UNITE citizens of Nevada (all political parties inclusive), as we are ALL citizens of Nevada and Americans alike. Compromise is not dead. It’s just been hidden from us for a decade and it’s time we get back to working in the best interest of ALL and ALL alike. Let’s work together to find a solution that is fair to NVEnergy, Net-Metering and Non Net-Metering rate payers. Greg is a resident of Nevada; owns and operates Blue Water Networks, a nationwide IT provider to the medical sub-specialty field of Perinatology as a virtual Clinical IT Administrator. Blue Water Networks also provides web design, SEO and other cloud based services nationally from their operations located at the Switch Supernap Facility in Las Vegas, Nevada. Greg is also a licensed real estate agent in Nevada and a member Realtor of the Greater Las Vegas Association of Realtors. He also serves as the Director of Communications with the Nevada Firearms Coalition, the Nevada state affiliate of the NRA. 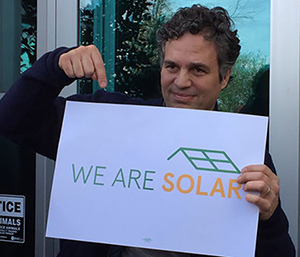 Greg purchased a sizable rooftop solar array that went live November 1, 2015. Considering the decision handed down by the PUC on December 22nd, and discovering that there was no organization of residents who own rooftop solar, it was a clear choice that one needs to be formed in order to have our voice heard clearly with our state decision makers. If you are a homeowner or small business owner that has invested in a solar rooftop system and want to join the Nevada Solar Owners Association, please fill out the information below. We are forming this coalition as a non-profit, and ALL funds will be going towards attorney and lobbyist expenses. We are currently not requiring dues at this time. However, we are looking for your feedback on this so we can determine the level of support to help cover costs for an attorney and a lobbyist to represent the member’s interests in the Nevada Legislature. Board members are all volunteers who desire to contribute their time and resources to this cause and we also have other small business owners donating services to this cause as well. The more people we have contributing, the less expensive it will be for all of us.